I know some serious printed-page-turning book-lovers who are ready to take that leap to the Kindle. And while my milestone birthday earlier this month gets me on that AARP magazine mailing list way too early in my opinion, I am thinking about getting an iPhone like so many of you who can’t stop singing its praises. The way we read is changing. We see this so clearly with newspapers. They are getting thinner and their Web sites more interactive. As newspapers and print magazines struggle with their bottom lines and how to offer the right mix of paid and free content online, the shift from print to online continues. At IAR we’ve been tracking this trend since 2007 when we saw a turn in print advertising much like what was happening in the newspaper business. Similarly, as we interviewed Illinois brokers related to the downturn in the market and asked, “Where are you cutting costs?” Print advertising was a common answer. So after more than a year of research, IAR reader surveys and reviews of about 30 vendors, this month we debut our digital “flip” edition of Illinois REALTOR® Magazine. You can link to it from www.illinoisrealtor.org/magazine or view it directly by clicking here. For you, our blog-readers, the digital magazine is a natural next step. Digital allows us to add video and hyperlinks for a more interactive experience. You can flip from one page to the next, share with a friend via e-mail or social media, and visit that advertiser’s Web site to learn more in just one click. The digital edition will not replace the print edition, which will be published four times instead of six in 2010. Digital remains an option for those who’ve told us they like to read online. Some REALTORS® tell us they like to take the magazine with them to read at open houses or at home for some down time, and we respect that. Some in the publishing industry have called the Kindle the “Model T” of e-readers. Once it becomes more mainstream there will be many more models and choices. 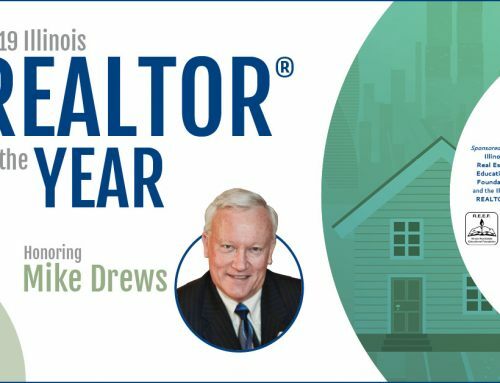 What’s next for Illinois REALTOR® Magazine? Soon our digital version will be easier to read on the iPhone and the BlackBerry.